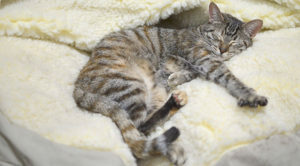 Many cat owners have come to the conclusion that their cats need to be 100% indoor cats for their own safety. I totally agree that this is safer, because the risk of my cats getting eaten by some animal, hit by a car, or any other potential danger is reason enough to keep the doors shut. However, cats were made for the outdoors! They deserve to nap in the sunshine, chase bugs and feel the wind lift their fur. Keeping them from that is cruel in its own way, I think. So what is the solution? Fully enclosed pens that keep your cat contained and other critters out can be the perfect compromise. The structure has been called either a "catio" or a "cattery" and usually has an access point from the house to the enclosure. The interior can be elaborate or simple, but cats love to climb and jump so having something to play on is a huge plus. Cat doors can be installed in doors, walls, screens, windows or even sliding glass doors for your cats to access their catio. There are inserts that require no tools, so if this is a temporary solution or you rent your home, that could be the perfect option. I like flaps that seal well enough that bugs don't get inside! The two brands I recommend are Hale and Endura Flap, Hale makes a flap that is easier for them to use but the Endura Flap seals much better. Since we're going through a screen right now, we used the Hale for screens. You'll want to be careful about where your catio attaches to the wall of your home, because cats can sneak through even very small openings. We stapled the chicken wire carefully so that there was no space, and make sure if you do use wire that sharp edges are not protruding on the inside of the structure. There are kits that you can buy online, or you can do what we did and recycle old fence and barn wood, chicken wire, and Christmas tree stands! The Christmas tree stands work great to hold up posts, which we attached ramps and platforms to for climbing fun! We wrapped some parts of the posts in rope to satisfy those scratching urges! 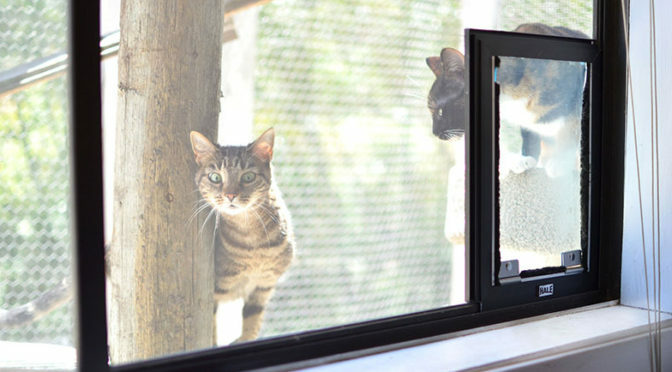 Teaching kitties to use a cat door can take some patience, but with the right kind of motivation they'll be using it on their own in no time! 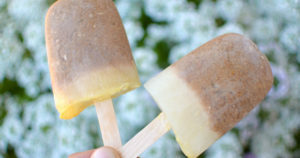 Next Post Popsicles for Pets!